The arrest was made during his interrogation by the CID which had questioned him on five separate days over the alleged plot to kill President Sirisena and former defence minister Gotabhaya Rajapaksa. 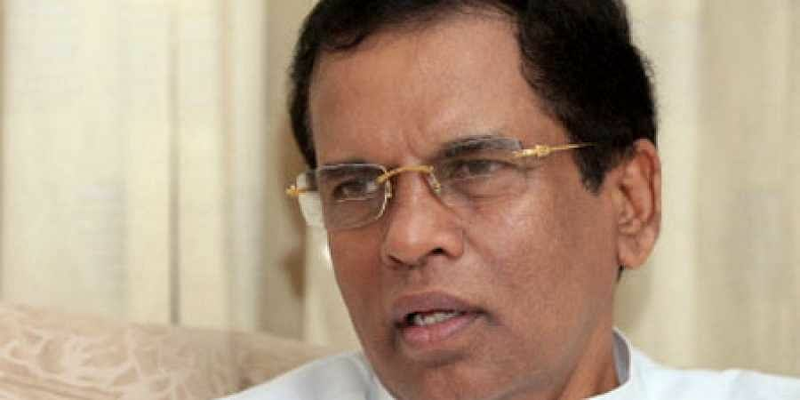 COLOMBO: A former top counter-terrorism official in Sri Lanka was arrested on Thursday in connection with an alleged plot to assassinate several VIPs, including President Maithripala Sirisena, a police spokesman said. Nalaka de Silva, the former DIG of the Terrorist Investigation Division (TID), was arrested by the CID, police spokesman S P Ruwan Gunasekara said. A man named Namal Kumara in mid-September disclosed the alleged plot implicating Silva. Kumara has claimed that Silva had discussed the plot with him over phone targeting Sirisena and Rajapaksa. The police spokesman said Silva would be produced before a magistrate. The voice tapes between Kumara and Silva were analyzed by the Government Analyst who verified that both voices on the tape are of Kumara and Silva. Sirisena's security was beefed up after the disclosure of the plot. Sirisena last week accused his unity government partner of the Prime Minister Ranil Wickremesinghe's UNP of going slow on the investigations. An Indian national named Merceli Thomas is currently under detention in Sri Lanka for his alleged involvement in the plot. He had visited Kumara's home raising suspicions. Thomas appeared in court before the Colombo Fort magistrate on Tuesday. He said in a written statement that he is innocent but the Sri Lankan police's criminal investigation department was trying to implicate him in the plot. He said he had been under detention for 34 days and as a result, his health had deteriorated. Thomas was arrested late last month following a complaint by Kumara, who claimed he was representing the Anti-Corruption Force, and who had alleged a plot to assassinate Sirisena and Rajapaksa. The court was also told that voice tapes provided by Kumara and Silva connected to the alleged plot have been verified by the government as carrying their voices.